To ensure a successful settlement in the province of Quebec, Canadavisa would like to present you with this landing guide. In this guide, you will find contact information for each service agency that you may be required to contact in order to begin your new life in Quebec, whether you are moving to the city of Montreal, to Quebec City or the surrounding areas. Learn more about life in Quebec. Quebec is a unique province in Canada, and prides itself on being democratic, secular, pluralist, and French speaking. It will be helpful for you to research the culture in Quebec, and have a good knowledge of the French language before you arrive. Official website of the city of Montreal. There is a three-month waiting period after you have arrived in Quebec before you are eligible to receive full healthcare coverage. Ensure that you have private health insurance to cover you and your family during this three-month waiting period in case of emergency. Be sure to bring your Quebec Selection Certificate (Certificat de sélection du Québec, also known as a CSQ) with you when you go to register for your healthcare card. It is important to apply as soon as you arrive in Quebec. Trades people and professionals may be required to register with a provincial regulatory organization. You should be able to locate your profession or trade regulatory organization in the phonebook or by doing an online search. For example, dentists should search for Dentist Organization, Quebec. The first search result is the Association des Chirurgiens Dentists du Québec (www.acdq.qc.ca). If you need to improve your language skills in either English or French, register for a course. Being able to speak, understand and write fluently in English and French is a necessity in Quebec. If you need to improve your French and/or English skills, be sure to start studying before you come to Quebec, and to enrol in a course immediately upon your arrival. French is the official language of Quebec, so it is important that you have a moderate ability to speak, read and understand the French language. There are countless immigrant serving and community organizations, as well as educational institutions that offer French language courses, some without charge to newcomers. Contact the organizations in the directory below for more information. Tip: In addition to taking courses, watching television in French, reading French language newspapers, and making friends with French-speaking neighbours are great ways to help you learn the language in no time! Before you begin searching for a job in Canada, ensure that your resume is up to date and that you have carefully checked it and your cover letters for spelling and grammatical errors. In Quebec, it may be important to have your resume translated into both French and English. Many immigrant-serving organizations offer resume writing and cover letter services to help you with this. See the directory below. There are multiple popular online search engines for browsing job postings and finding work in Canada. The most popular include Craigslist (www.montreal.en.craigslist.ca for Montreal and www.quebec.craigslist.ca for Quebec City), Monster (www.monster.ca), and the Government of Canada's Job Bank (www.jobbank.gc.ca). Note: Finding work can take time, so be prepared to support yourself financially while you are looking for employment. Tip: Are you having trouble finding work? 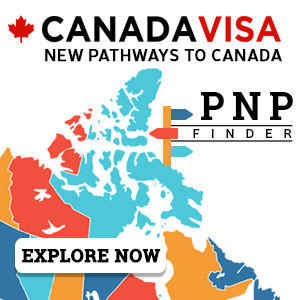 Gain Canadian work experience by volunteering! Volunteering is a great way to get involved in your new community, improve your language skills and gain work experience and work references from Canadian organizations. Volunteering opportunities are available through most community centres, or in your local newspaper. Within the first days that you arrive in Quebec, it is advisable to open an account at a local bank or financial institution. Popular banks in Canada include HSBC, Scotia Bank, Royal Bank of Canada (RBC), Bank of Montreal (BMO), TD Canada Trust, the Canadian Imperial Bank of Commerce (CIBC), National Bank of Canada, and Desjardins Bank. You can find contact information about these banks by searching for them on the internet, or you can simply walk into a local branch and ask for information. Be sure to make an appointment with a financial advisor at your banking institution, so they can help you organize your finances in Canada, provide you with information on financing home and automobile purchases, inform you about paying for further education for yourself or your family members, and advise you about financially preparing for your retirement. Coins of 5 cents ($0.05) called the "nickel"
Coins of 10 cents ($0.10) called the "dime"
Coins of 25 cents ($0.25) called the "quarter"
In Canada, most commonly, transactions are made with cash currency, cheques, debit banking cards, and credit cards. Tip: If your children that are under 18 years of age, you may be eligible to receive the Canada Child Tax Benefit. For information, visit the website for the Canadian Revenue Agency at www.cra.gc.ca, or call toll-free 1-800-959-2221. Children under 18 must be registered for school. Schooling generally begins at age four or five. Most children stay in school until they finish high school, generally at 18 years of age. The Quebec public school system is generally divided into four levels: Elementary, Secondary, CEGEP (Collège d'enseignement general et professionnel in French, or College of General and Vocational Education, in English) and Post-Secondary, either college or university. Some districts or private schools may organize their grade levels differently, though education standards are regulated by the provincial government. The academic year for all levels of education begins in September and runs through June for elementary and secondary students. For college and university students, the academic year generally ends in April or May. Standard holidays include Christmas and New Year's holidays in December and January, and a spring break in either March or April. Students have the right to observe religious holidays. Additional holidays are regulated by the school board. Contact the local school board in your neighbourhood for information on registration. Quebec is home to multiple academically recognized universities and colleges. For complete information on post-secondary education, visit the Study in Canada Guide. Note: Every vehicle and driver must have insurance. Contact a local insurance provider to become properly insured before you drive. There are multiple different housing options across Canada. If you have not visited your new city previously, it may be best to rent a temporary apartment when you first arrive, and/or hire a real estate agent to guide you through the housing process and provide you with knowledgeable advice on the best areas to live for you and your family. It is important that you take your family, the location of your place of work, neighbourhood, and finances into account before deciding on a place to live. A large multi-unit building where each unit is owned by the inhabitant is called a condominium, and each unit is called a condo. Often apartments and condos are found in homes that have been divided into separate living spaces. Houses can be connected in a row, called townhouses or row houses, or detached, as separate, individual dwellings. Though average living costs vary given the size of your family, location and level of income, housing is generally more expensive in cities. As a result, many families choose to live in suburbs which are towns located just outside of the city limits, where housing is more affordable. Suburbs often provide good neighbourhoods, schools, shopping, and healthcare, all within close proximity to the amenities of the city. Housing in the country can be even less expensive and is desirable for many families, but you will require a vehicle in order to travel for your basic needs including groceries, work, school, and healthcare. If you are renting your home or live in a condominium, it is important that you ensure pets are legally allowed on the premises before you move in with your family pet, or purchase a family pet. It is also important to check with city bylaws to ensure that your animal is legal in Quebec. What can you bring into Canada? Canada has strict rules concerning what can and cannot be brought into the country. There are regulations regarding food, alcohol, nicotine products, plants, animals, cars and other products. 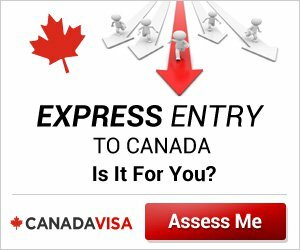 To avoid problems, be sure to check in advance what is and what is not allowed to come to Canada, as well as what procedures must be followed to bring certain items into the country. Most Canadian cities enjoy very warm summers where temperatures can go above 30 degrees Celsius. However, it can get very cold in almost all parts of Canada in the winter, when temperatures can go below -20, even -30 degrees Celsius. It is very important to ensure that you are prepared for the cold weather. Invest in warm winter clothing, including sweaters, winter jackets, boots, hats, scarves, and gloves or mittens. If you do not dress warmly in the winter you will risk becoming ill or getting frost bite. Frost bite is severe damage to the skin caused by winter wind exposure. Quebec is a province of Canada that experiences a lot of snowfall, so prepare yourself as much as possible. Ministère de l'Immigration et des Communautes Culturelles (MICC) is the governmental body that helps newcomers settle into their lives in Quebec. When you first arrive in Quebec, visit an MICC office, or the help counter at any major airport. They will help you by arranging an appointment with an integration support agent who can personally answer any questions you have. In emergency situations, dial 911. When you dial 911, you are connected with an operator who will assist you and dispatch emergency services. Disclaimer: This guide is a compilation of information from multiple sources. Though the information is maintained and updated regularly, the law firm of Campbell, Cohen is not responsible for information that may have changed. This is not a government document. Neither the federal nor the provincial governments were involved in the making of this guide. The British Columbia Provincial Nominee Program invited 71 Tech Pilot candidates across five categories to apply for a provincial nomination in a draw held April 16.